Chef Jean-Charles Dubois, who used to cook at the Raffles Grill, has been running the French Kitchen for over a year. 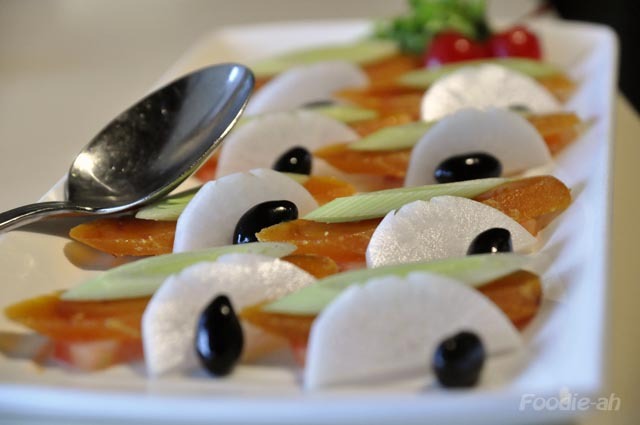 The restaurant serves classic French and is located in the quiet surroundings of Central Mall. The narrow dining room is plainly decorated and hosts up to about 40 guests. We were served some slices of wholewheat raisin walnut and mixed grain bread, accompanied by a salmon rillette and thyme butter sauce. I didn't think the raisin bread was a good match with the rillette due to its intense sweetness. The menu includes 3 fixed price options, at S$78++, S$68++ and S$58++. I decided to order the Traditional Dubois degustation menu, $68++ per person. The first dish was an Œuf en cocotte et boullion de pain de campagne. A soft poached hen’s egg was served in a small cup, covered in a farmer bread emulsion and decorated with an asparagus and a parmesan cracker. I wasn't blown away by this classic dish, which was an OK starter. I guess it wouldn't have been my first choice, if it hadn't been a fixed choice on the menu. 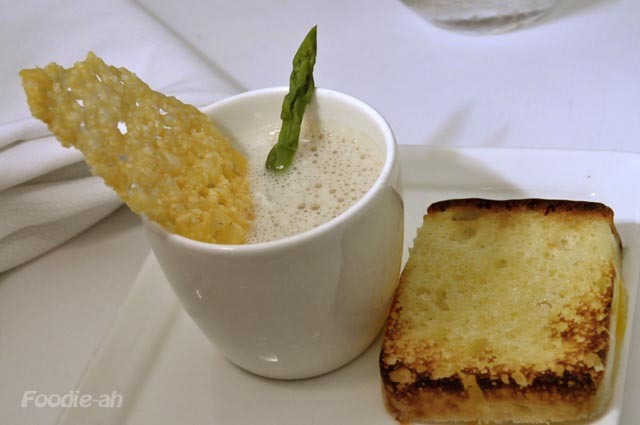 I was more impressed by the Bisque do homard, a traditional lobster bisque with tiger prawn beignet and leek custard. The bisque was very creamy and had an intense flavour. 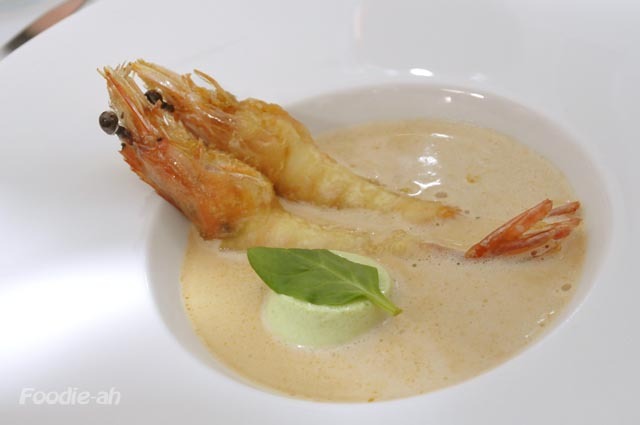 I personally loved the combination of leak custard with the prawns. A larger portion of the custard would have made me even happier. In preparation for the main course, we had a 'palate break' with this Fraicheur d'angers, which was an apple granite. 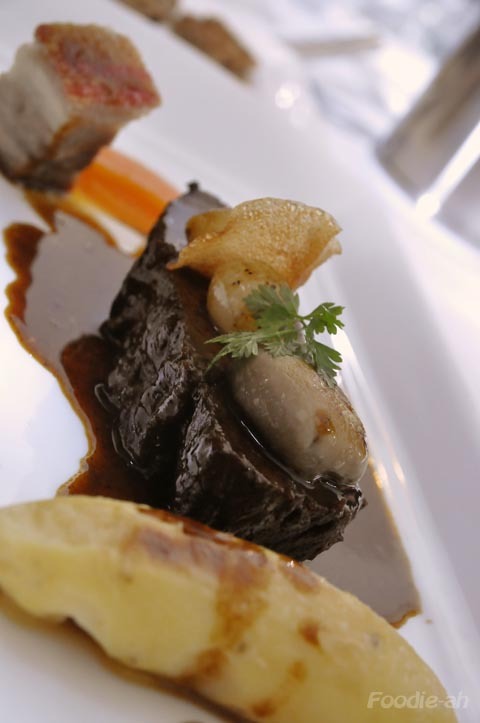 The main dish was a Boeuf Bourguignon: a bourguignon of braised angus beef short rib with glazed onion, mushroom, seared pork belly and soft potato fondant. I liked the beef and its sauce and enjoyed the dish. Having to find fault with the dish, the 'potato fondant' seems like a grand way to describe a boiled potato, and the carrot puree' was quite watery and had such a mild flavour that it didn't really pair with anything else on the plate: neither the crispy pork, nor the beef. I thought that was totally redundant. 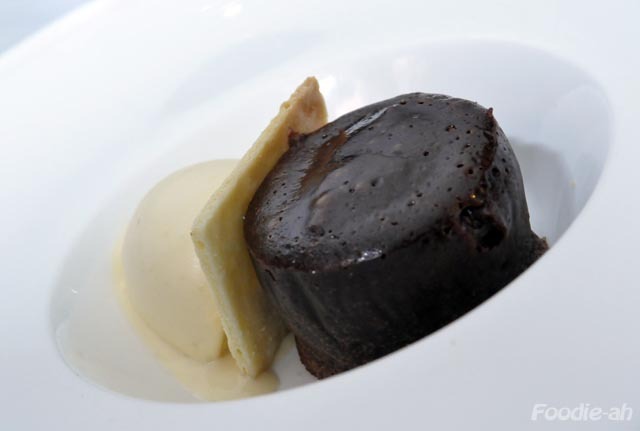 The chocolate fondant was well done, complemented by a salted caramel ice cream. I liked the meal at the French Kitchen, but taking a look through their menu I would say that lunch time is a better option. For only S$36++ you can have exactly the same dishes, and for that price I will definitely go back. Sghin Yeh is a Taiwanese restaurant chain well known in Taiwan, established in Singapore on the second floor of Liang Court. The dining room is spacious and overlooks the Clarke Quay canal. Many private rooms are available for large groups, making it a popular choice for family gatherings. 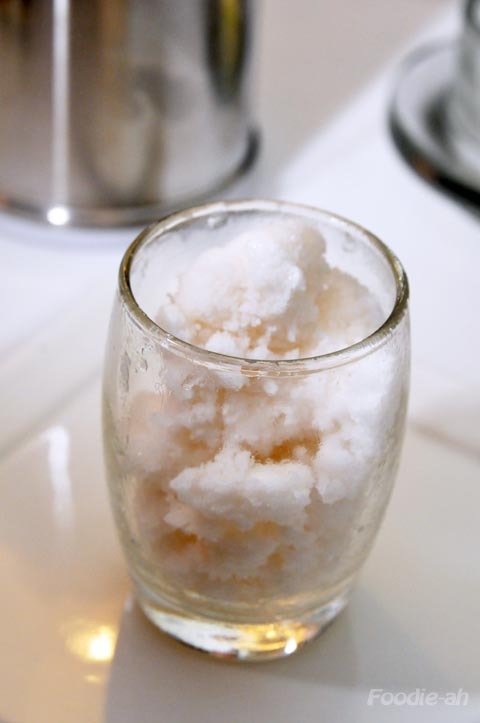 A couple of their signature dishes are based on Taiwanese bottarga. 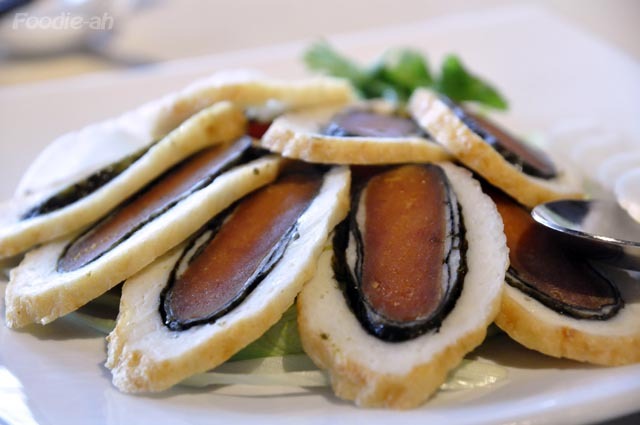 The bottarga is wrapped into a cuttlefish fishcake, and lightly baked. The slices are then served with fresh leek. Probably due to the light cooking process, the bottarga tends to be drier and more intense in flavour than I am used to. I prefer their other bottarga dish, which consists in slices of Bottarga sandwiched in-between tomato, turnip and leek and accompanied by black beans. This is for me such a different way of having this delicacy. Although I still prefer to have it Italian style with olive oil and bread, this combination is more healthy and refreshing. 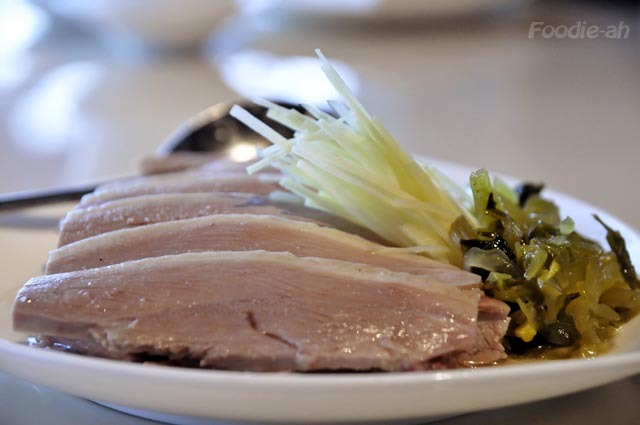 The duck with preserved vegetables in is very juicy and well flavoured by the buillon it is served with. 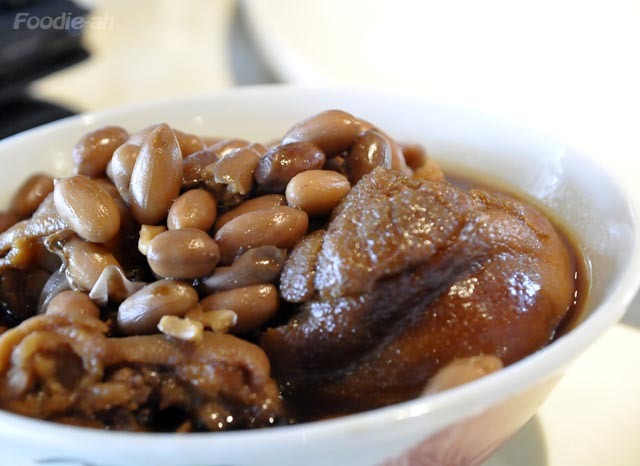 I liked the pig's trotter with steamed peanuts, although there wasn't much meat in it, and I can have a cheaper, larger and meatier portion elsewhere (see my review of Hiang Ji). 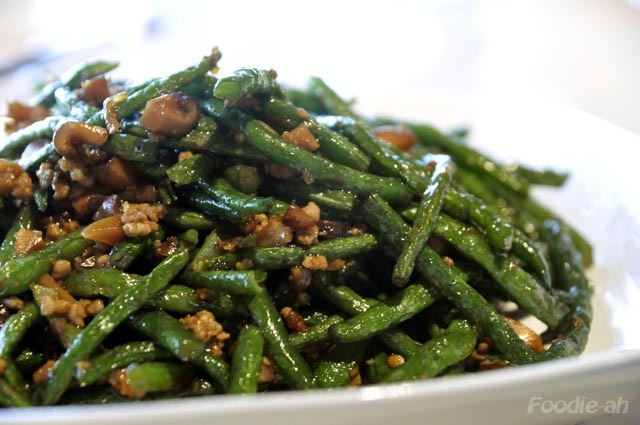 The string beans with mined pork is a Chinese classic and Shin Yeh's version is very tasty and not as oily as others. As a personal preference, the best string beans still remains Silk Road's. 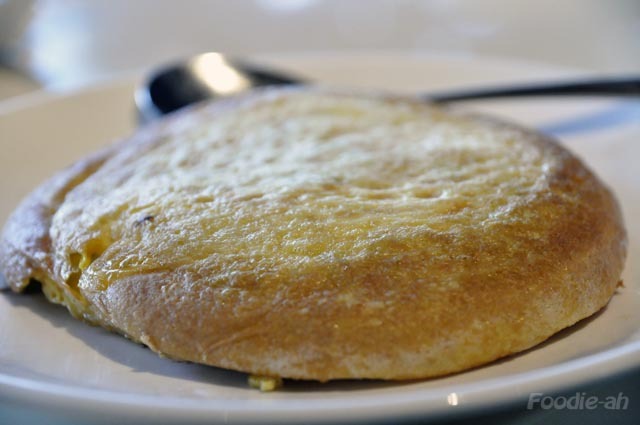 Their signature pan-fried turnip pancake didn't particularly impress me, as it tasted quite like a simple home made egg pancake. This was the best dish out of all. 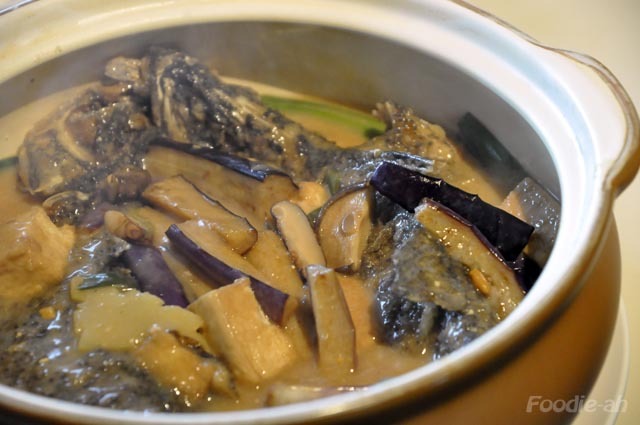 The sea bass with eggplant and tofu in special stock (S$5/100gr) comes in a large clay-pot with a generous amount of tofu chunks and aubergine strips. But what makes this dish outstanding is the thick, rich stock based on yellow beans. The fish is slightly coated in flour and pan fried first so the skin deeply absorbs the sauce. One portion is only about S$25 (about 500gr) and is just right for about 2-3 people. It is no surprise that this restaurant is normally busy, despite being located in a shopping mall that is not mainstream. Shin-yeh offers a good variety of specialty dishes that cannot be found elsewhere in Singapore, differentiating itself from the vast majority of Chinese family restaurants.